When moving expensive equipment, fine-art, pianos, or other delicate and difficult-to-move items, Booth Movers has the solutions you need! We are the specialized movers Hoboken home and business owners trust because we offer unwavering commitment to quality, value, and 100% customer satisfaction! Since the 1940’s, our full-service local and long-distance movers have provided award-winning service. We are BBB-accredited, ProMovers with the American Moving & Storage Association, and members of the new Jersey Warehousemen & Movers Association. Most importantly, we are a local company with a long-standing reputation you can count on! Piano Movers: Our experienced movers have the necessary tools for relocating your piano simply and carefully! Fine Art and Antique Movers: Keep your high-value items protected for the duration of your move with our expert packing and crating services. Equipment Movers: Using best practices and industry-leading resources, we will relocate your heavy machinery and sensitive equipment with ease. Furniture Movers: Booth Movers takes every precaution to ensure your furniture is secure and well cared for. Appliance Movers: Our Hoboken specialized moving professionals make relocating heavy appliances hassle-free and affordable! Hotel Movers: If you’re looking for reliable FF&E services, you cannot beat the quality and value offered by Booth Movers. Computer and Electronic Movers: We are the go-to professionals for cost-effective and efficient Hoboken IT moving services! School and University Movers: For more than 60 years, Booth Movers has managed school and university relocations of all sizes. Request You Exact Moving Estimate! Moving can be stressful, but with the right professionals you can enjoy a simpler, more efficient move. 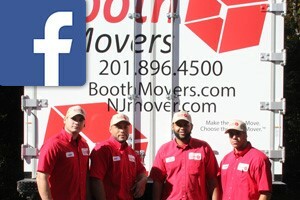 To learn more about our Hoboken movers, give us a call today to speak with a knowledgeable representative. You may also complete our online form now to request your free, no-obligation moving estimate!